I’m back today with nine Whole-30 inspired drinks and dishes. These have been some of my favorites lately so I’m excited to share them with you. 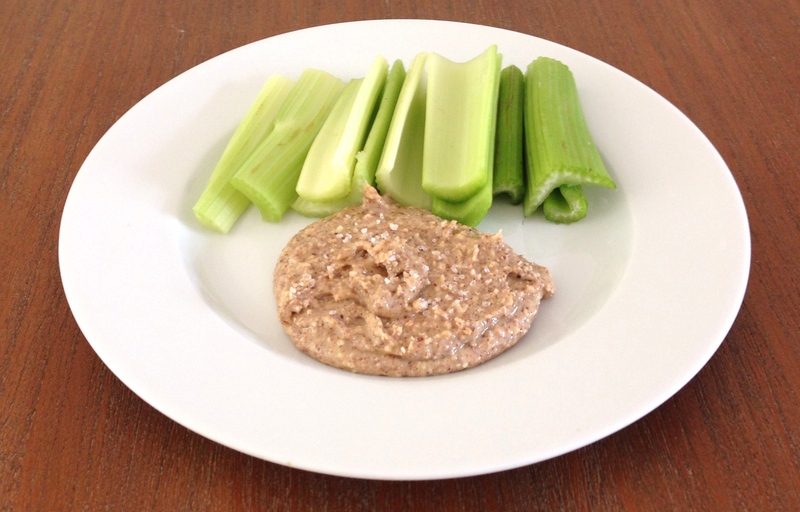 To give you an idea of how this program fits into my life so far, I try to make all of my weekday meals and snacks Whole-30 approved. I’m a little more lax on the weekends and when we eat out (which we only do once or twice per week and usually only on the weekends.) Still, I take a moment to scan the menu at restaurants and if there’s something that can be made to meet the Whole 30 standards and it appeals to me then I go for it. But I don’t put any pressure on myself to abide by it 100 percent when someone else is cooking. I feel like this comes out to eating “clean” about 80 to 85 percent of the time, which so far feels like just the right amount of balance for me without ever feeling deprived. After all, I’m not trying to cure any condition or overhaul any mega issue. I’m merely focused on eating as well as I can in order to feel my best at all times. In a cast-iron skillet with 1 Tbsp coconut oil, I cooked 1/4 of a peeled, cubed sweet potato until browned and cooked through. I added leftover grilled steak from dinner the night before and cooked until warm. 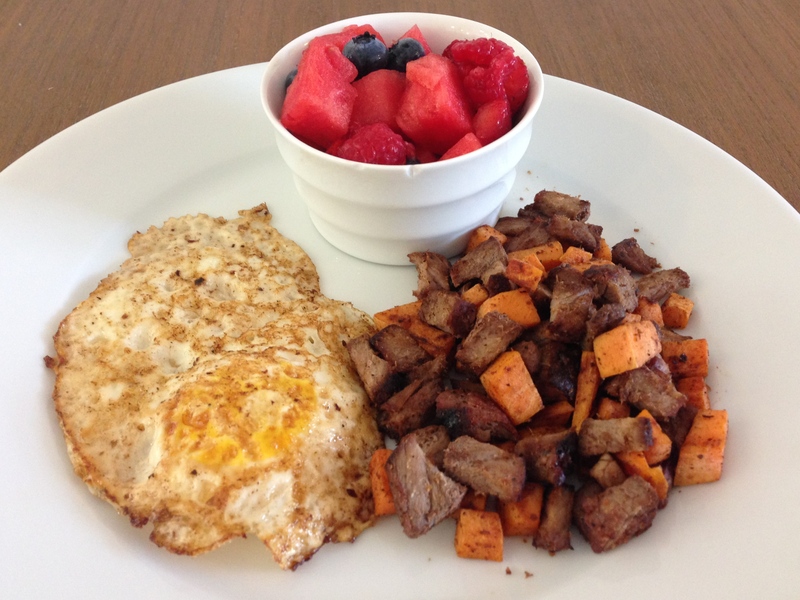 I removed the steak and sweet potato from the pan and then fried an egg. I finished it off with a bowl of berries and watermelon on the side. I’ve been eating some version of this every morning. Saute 1/2 – 3/4 of a diced Applegate chicken & turkey sausage (this is my favorite lately) in 1 Tbsp coconut oil. Once browned, scramble two eggs in a bowl and add them to the skillet. If you have some greens (I added leftover roasted brussels sprouts) throw those in there, too. 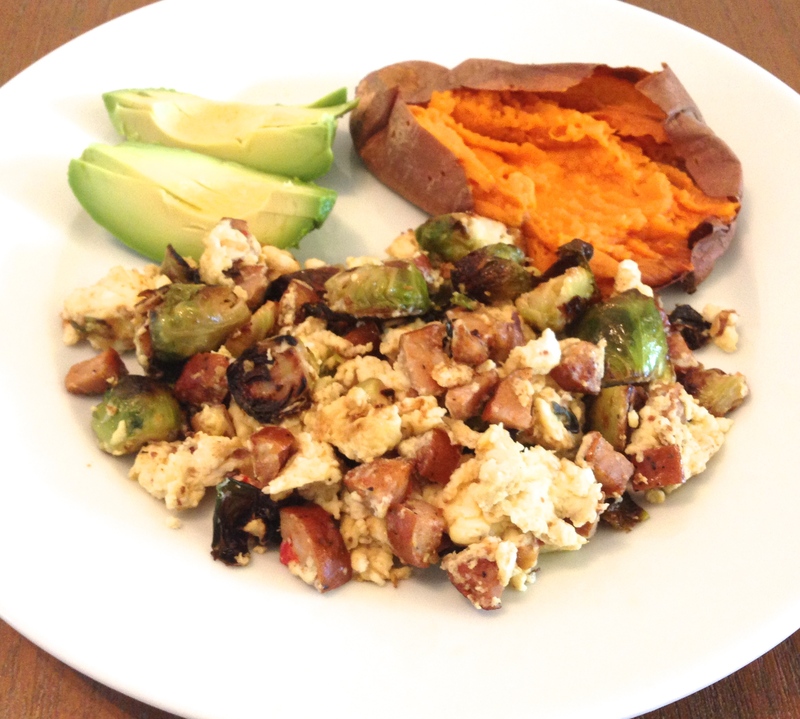 Serve with roasted sweet potato & sliced avocado. Many mornings I have a small bowl of berries instead of sweet potato. So simple and so delicious. This is one of my favorites. Check the label on your almond butter to make sure it just has almonds (and possibly salt) and no funny stuff like sugar or high-fructose corn syrup. Although the Whole 30 is all about eating whole, unprocessed foods, it’s nice to have something in your bag (or pocket, or car, or desk, or pantry) for those times when you’re starving and need something to hold you over until you can get your hands on some REAL food. 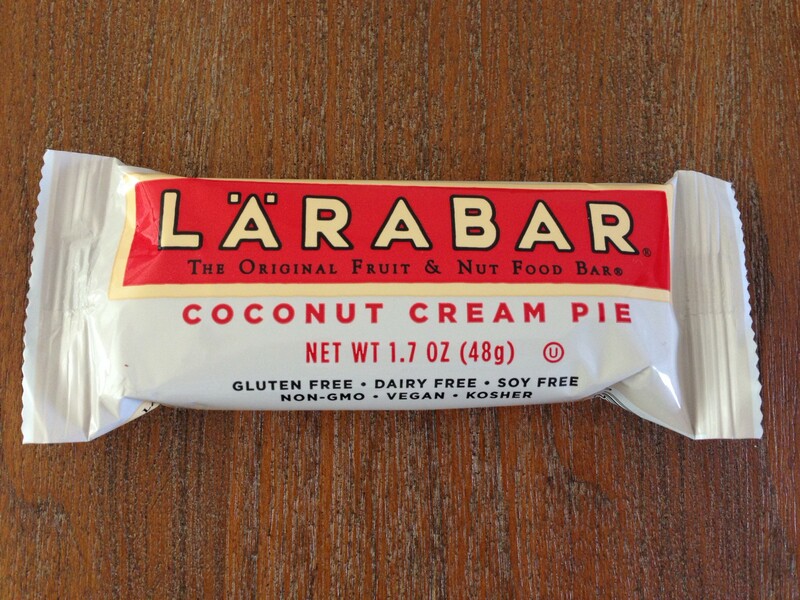 Most Larabars fit the Whole-30 bill (I believe Peanut Butter and Jelly is the only one that doesn’t). So far my favorites are Apple Pie and Carrot Cake. I often repurpose whatever leftovers we have from dinner the night before into a big salad for lunch. If you’ve seen my Instagram feed then you know I’ll put anything on top of lettuce (even strange combinations) and call it a salad. Here’s whats in this bowl: Romaine lettuce, red bell pepper, grape tomatoes (from our garden! 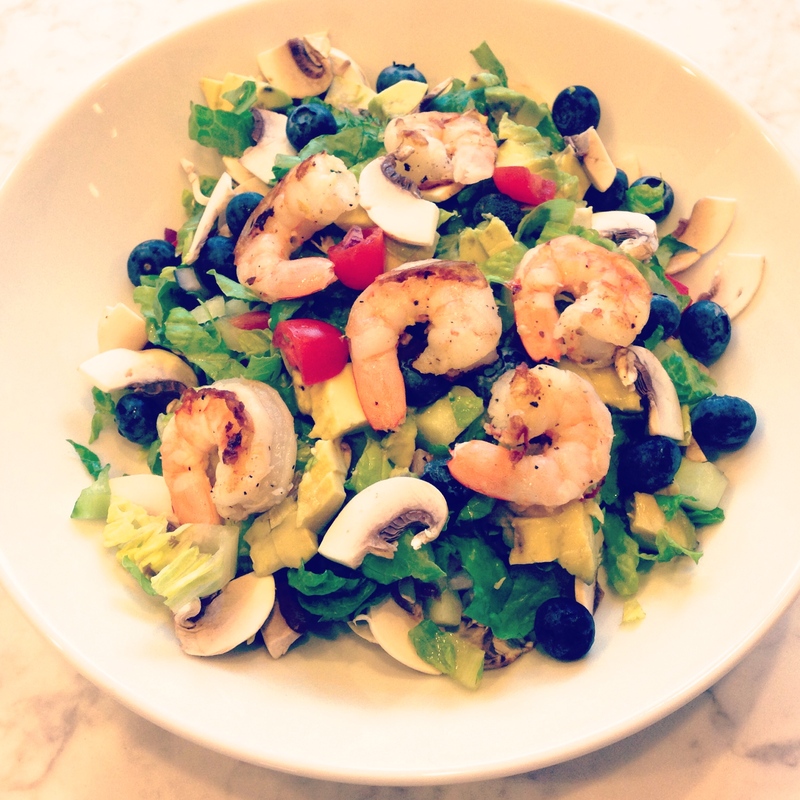 ), red onion, white button mushrooms, avocado, blueberries, and grilled shrimp (tossed in some olive oil, lemon juice, salt and pepper before grilling on the grill pan.) I made a simple dressing with olive oil, cilantro, fresh lime juice, minced garlic clove, salt & pepper. Goodness I love Chipotle, but I always feel so stuffed and bloated after eating it. Not this time! 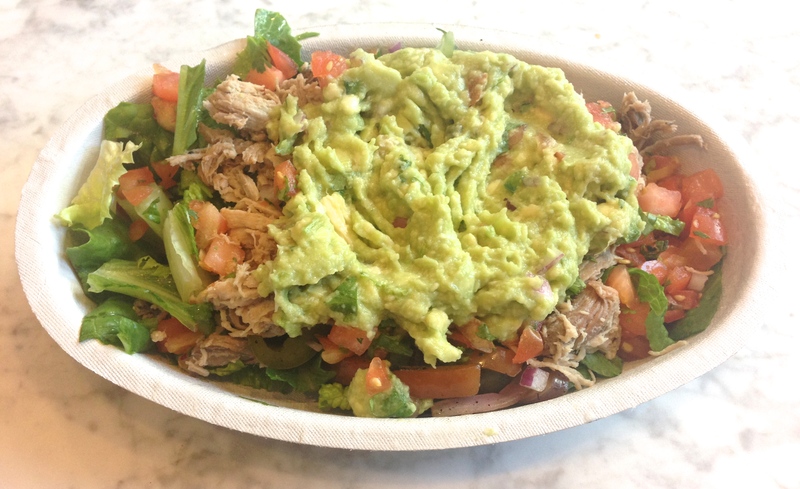 Here’s what I ordered: Salad (no dressing) with carnitas, peppers and onions, mild salsa, and guacamole. It’s my new go-to whenever we eat there. So easy. So filling. So delicious. I love my spiralizer and use it all the time (especially now that zucchini is in season and we tend to get heaps of it with our weekly CSA.) 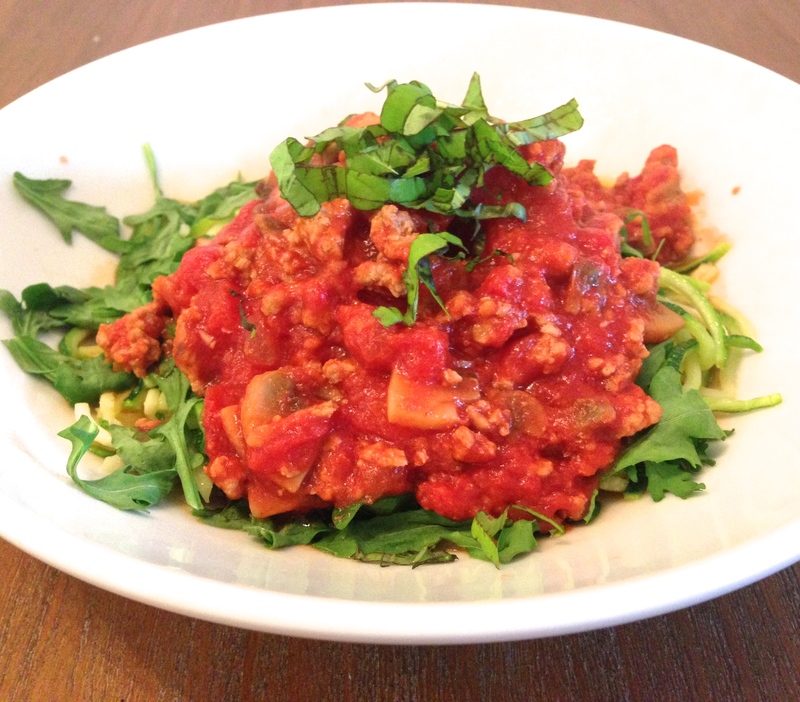 I followed the recipe in the link below, but made two small changes: I added a big handful of arugula and topped the sauce with fresh basil from our garden. Find the recipe here. 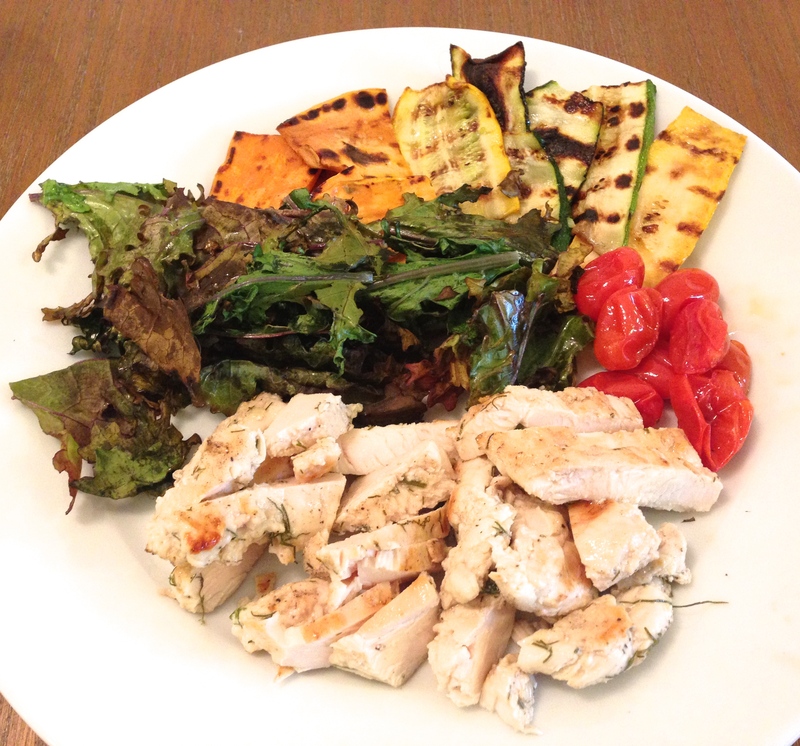 This entry was posted in Whole30 on July 16, 2014 by Paige Greenfield.